Clash of Clans Balloonion Strategy Guide! Balloonion is by far one of the best strategies in Clash of Clans and any Town Hall 9 should know exactly how to use it to succeed in Clash of Clans. Today, Ill be walking you through how to use balloonion to easily one star any Town Hall 10 and two star any Town Hall 9! Balloonion is so important to master at Town Hall 9 because it is the key to beating Town Hall 10s when pushing. Here’s a video that will show you the ins and the outs of balloonion so you can get a general understanding of the strategy and how to use it well against TH10s. Now lets go ahead and go through the steps of how to destroy a Town Hall 10 as a TH9 with balloonion in Clash of Clans. Step One: Find the perfect base. 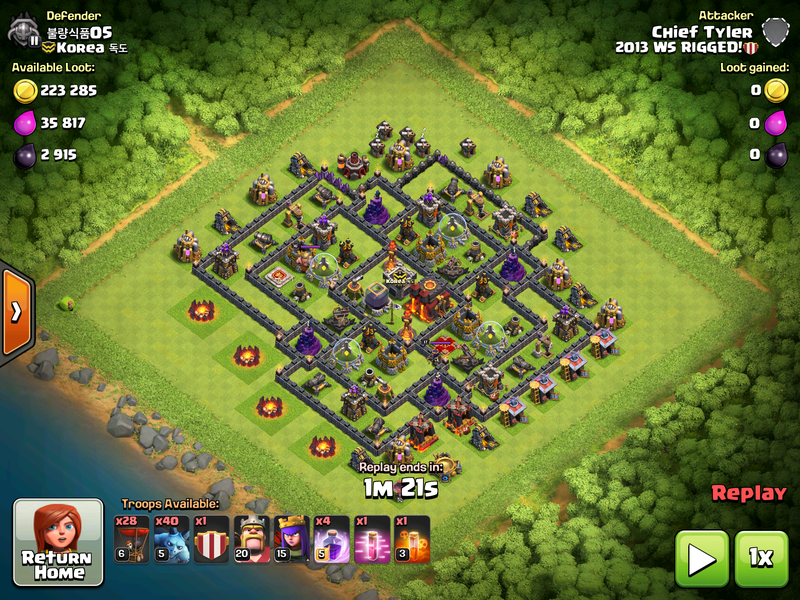 The perfect base to find against a Town Hall 10 is one where the air defense is centralized, the archer towers are far on the outside of the layout, and the x-bows are on ground mode. The air defense needs to be centralized so that it can’t shoot your loons, the archer towers need to be easily taken out, and obviously you don’t want the x-bows shooting your troops. Step Two: Use your loons to take out any outside archer towers. If you see an archer towers toward the outside of the walls, place either 3 or 4 loons to take out each tower, depending on how many defenses are able to shoot it. Step Three: After your loons are all finished destroying the archer towers, you should place minions in behind to take out any outside buildings that are now unprotected by any defenses. Place one minion for each building and it will get you to 50% easily! ← Best Arena 3 Giant Deck in Clash Royale! I pushed from gold 2 to crystal 2, by farming, because I was going for storage loot. My trophy record is now 2342. 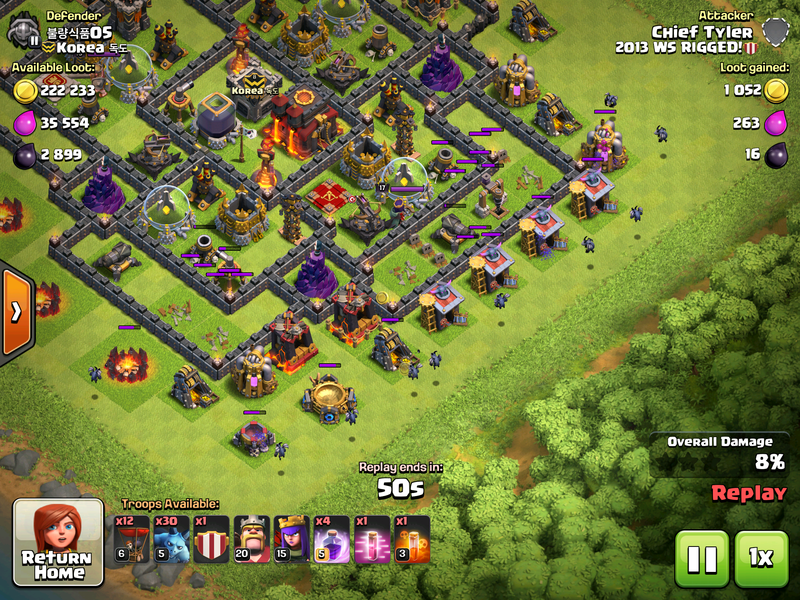 I should do a guide to how to use barch to consistently two star people. 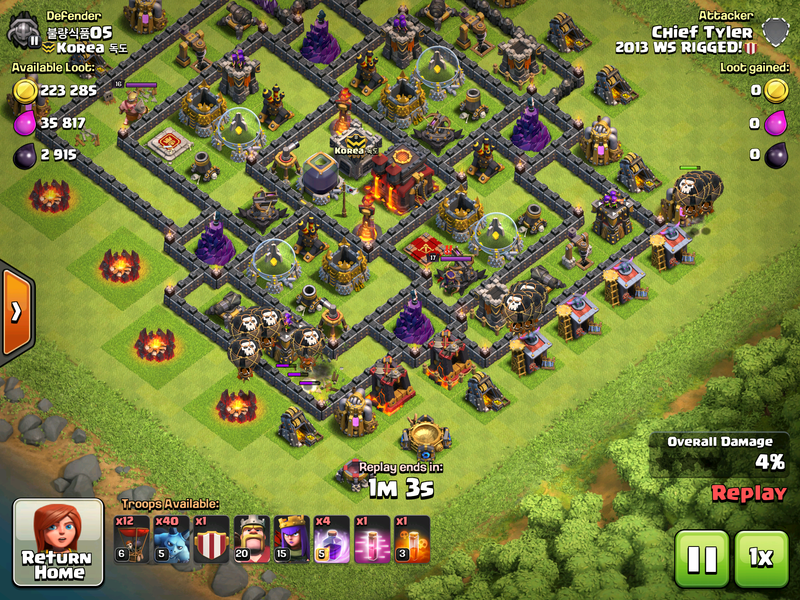 I’m a well developed town hall 8, but not maxed. Precision ballonian is cheaper because you don’t really need spells, and it’s safer. He’s talking about it as a pushing and farming strat. He was trying to push to Titan as a town hall 9 with balloonian. Pingback: Clash of Clans Balloonion Strategy Guide! | Clash of Clans Guide, Strategies, Tricks and More!